Plant Restaurant Asheville is Amazing! Plant Restaurant Asheville truly blew me away. 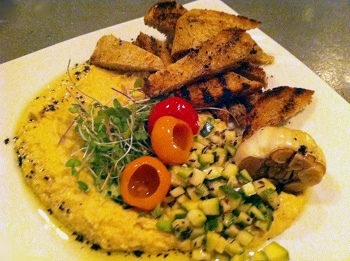 We had read that the former chef for Laughing Seed was now cooking at Plant, and we'd also read that Laughing Seed had gourmet vegan and the prices to match, so we were expecting the food to be good. Laughing Seed's menu is now a more modest one that includes more sandwiches and lower prices, so evidently the cooking style left with the head chef, Jason Sellers. We just weren't expecting the food to be as good as it was. 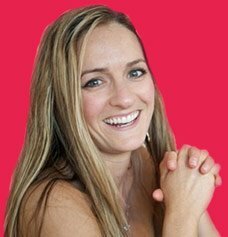 I'm used to going to vegan restaurants all around the country, and you expect a fancier, more gourmet style vegan restaurant in San Francisco, and Portland, and New York, but to find it in the little city of Asheville was a surprise. Plant has a slightly more formal vibe than any of the other Asheville vegan restaurants, but it's still incredibly friendly and lacking in pretention. You can tell the servers and chefs are proud of their food, and they certainly have reason to be proud. 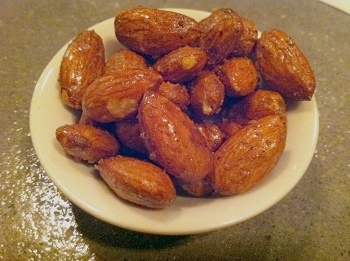 The first thing we were served was an amuse bouche from the chef; almonds roasted with a smoky maple finish. My best guess for how they'd make them is by combining maple syrup, olive oil, smoke flavoring, and a touch of salt and pepper and roasting them for 10-15 minutes, stirring a few times to make sure they don't stick together. They were crispy and slightly sweet, with just enough smoke that you smell it when you swallow. We started with the smoked hummus. Normally I completely avoid any hummus dishes when I have so many options because hummus is the "I'm settling" dish for vegans. However, I read that the chef actually smokes the chickpeas with hickory wood, and therefore I decided this was a special hummus that we should try. It was perhaps the best simple hummus I've ever had. They served it with grilled strips of wheat bread, pappadew peppers, sprouts, tiny chopped zucchini, and the costar: half a head of roasted garlic. I chose the mushroom risotto, which again might make you think I was settling for the only vegan option on the menu, but just because it's a common entree doesn't mean this one wasn't spectacular. The risotto was creamy and flavorful, and they filled it with tiny chunks of butternut squash, which gave my mouth the impression of chunks of cheddar cheese. 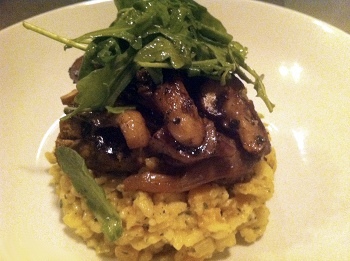 There were a few strips of nicely grilled tempeh, along with a collection of oyster and baby bella mushrooms, and the whole thing was topped with a small arugula salad. Normally they also adorn the risotto with pine nuts, but I have a weird allergy to pine nuts grown in China that makes everything taste bitter for about 5 days, and I wasn't willing to sacrifice my taste buds in the off chance that they might be Italian pignoli. 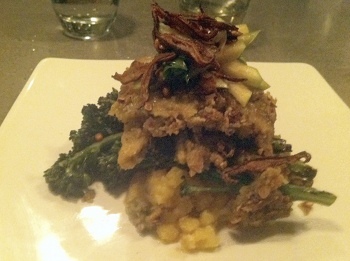 My husband ordered the pumpkin seed crusted seitan, atop smashed rutabaga with grilled broccolini. The seitan had a really nice texture, and the combination of all the vegetables made it a really good dish. What set it over the top was the portobello "bacon." This bacon had absolutely the same texture and flavor as "real" bacon, with the crunchy and ever-so-slightly chewiness. I'd imagine they made it by soaking strips of portobellos in a mixture of maple syrup, smoke, tomato paste, and a few other "bacon" flavors for a few hours, and then dehydrating them for an hour or so. Whatever they did to it, it was amazing. 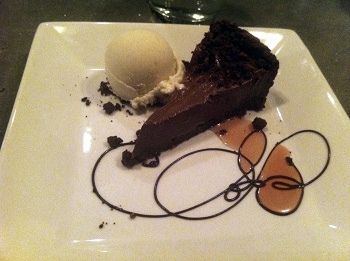 To finish off an already delicious dinner, we chose a personal apple pie with vanilla ice cream and a blackout chocolate pie with peanut butter mousse. The apple pie was another amazing home run. 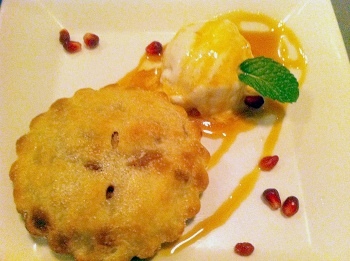 We watched the apple pie being baked, and it came out of the oven and was plated with caramel sauce, pomegranate seeds, and the rapidly melting vanilla ice cream. It was insanely good. The blackout pie was intense and extremely rich. If you're a chocolate peanut butter lover, you'd love this dessert. The served it with a banana macadamia nut ice cream that I think cut the intensity of the chocolate and peanut butter and made the whole thing more manageable, and plus it gave the dessert a bit of Elvis flair. So, that's what we had for dinner at Plant Restaurant Asheville. My review doesn't end there because we went back the next day for lunch. Now, I find this slightly embarrassing, mostly because we were pretty vocal the first night, so it was abundantly clear that we were recognized at lunch. The owner told us the record for consecutive stops at Plant is four, so that made me feel less conspicuous. How could we give it a full review if we didn't try nearly everything on the menu, right? 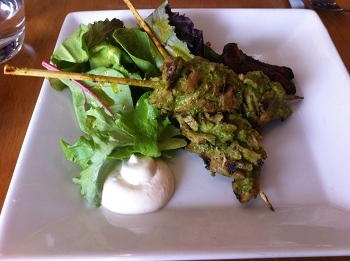 So, for lunch, we enjoyed the flame and herb seitan skewers, which were perfectly cooked and adorned with just the right amount of spice. 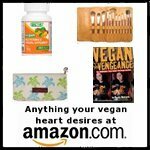 Any meat-lover would seriously love these things and could vow to quit meat forever if only they could eat them daily. 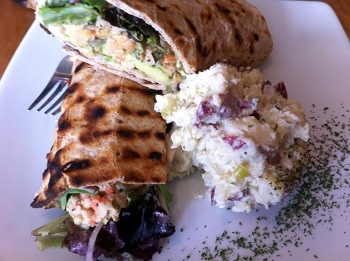 We had the chickpea salad sandwich, which was rolled in a lavash wrap that was livened up with fresh grill marks. The chickpea salad had flecks of carrot and vegetables, and was filling and satisfying. The sandwich came with their vegetable of the day, which happened to be potato salad. Now, I'm not typically a fan of potato salad. In my non-vegan days, I would literally never eat it, even if it was the only vegetarian option at a barbecue. This potato salad, however, was so fresh and light tasting that I loved it. 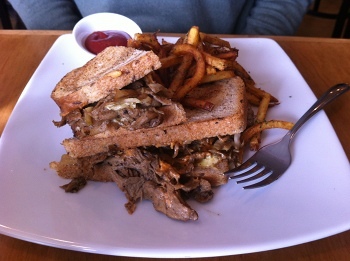 We also had a reuben sandwich, which our server recommended. I've had reubens in other vegan restaurants and I'm amazed at how they are interpreted in such different fashions. This was truly a delicious reuben, with just enough of their spicy seitan and cheese, and on a crunchy rye bread. It came with shoestring truffled French fries that we loved. And then we finished it up again with homemade coconut milk ice cream. This time I learned that the reason it's so amazingly good is because it's incredibly fresh. They make it behind the bar in a professional ice cream maker with organic coconut milk and you're never served a scoop that's more than a few days old. They also experiment with the flavors and use fresh ingredients in each batch. Plant's mint chocolate chip ice cream we had is perhaps the most delicious mint ice cream either of us has ever had. It was perfectly light and white, with flecks of green from fresh mint, and with tiny chocolate chips. 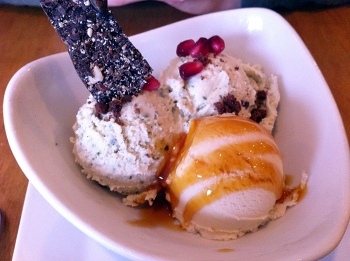 They topped it with pomegranate seeds and a small mocha chocolate bark that was insanely good. We also had a pina colada ice cream drizzled with caramel sauce, and what can I say... it was great. Every little thing we had at Plant Restaurant in Asheville was outstanding, even down to the garnishes. We felt like the chefs, wait staff, and owners all had a real appreciation for good food and a sense of pride in what they deliver to the public. If you live in Asheville or are just stopping by, Plant is a must-do.